I teach at SPINCO because of the powerful FEELS I get every time I walk in the door - from the people I work with who I am proud to call friends, the riders who come to grind it out with me and watching them push past their own limits, that hidden strength you find when you believe you can do it. That deep breath you take when the last song ends and you've just completed that 50 minute class, the grattitude I have for being able to do what I love - all the FEELS!! 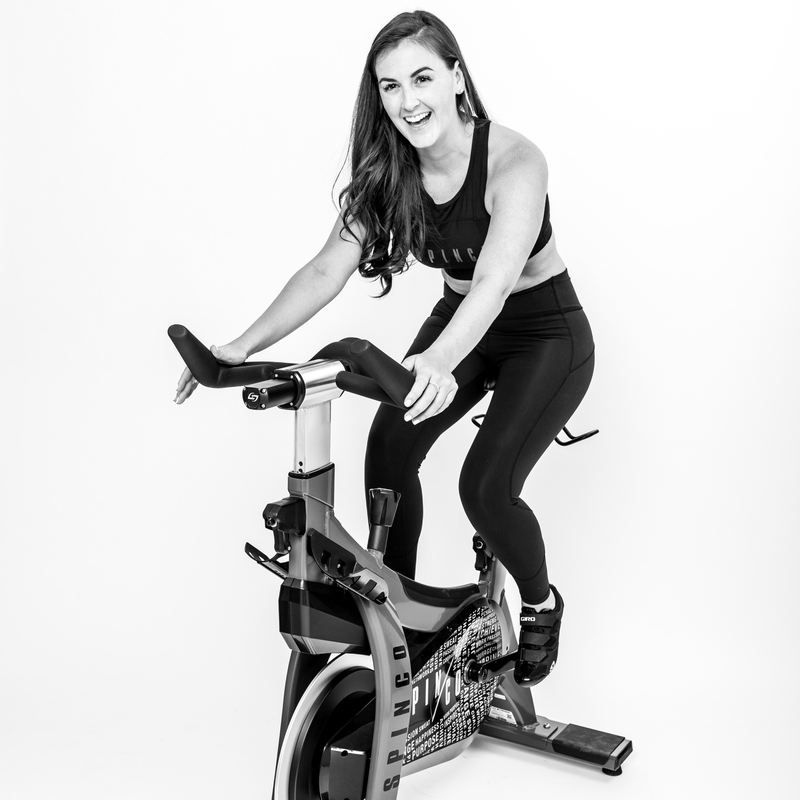 What motivated you to jump on the bike every class? I was never a girl who LOVED working out,but was never shy to get my sweat on. Riding a SPINCO class isn't something I force myself to do, rather I CRAVE! My ponytail flipping all over, the sweat running down my face, the connection to the music with all my pals next to me. 50 minutes is nothing when you feel safe in the space around you and have the support of the room to encourage you to give'r. Confident! You CAN absolutely do it. I may be at the front of the class but I ride with you. One song at a time. So clip in, hold on and let's do this!